1990-1993 resident dj in a small club fridays and saturdays playing all kinds of music from hip hop to house. 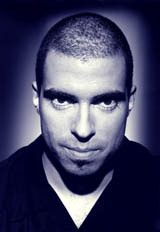 1993-1995 manager and resident dj of a techno/house club, called "spinclub". chris liebing ­ dumdumtrack parasound comp. noosa heads dongo aufschwung ost comp.